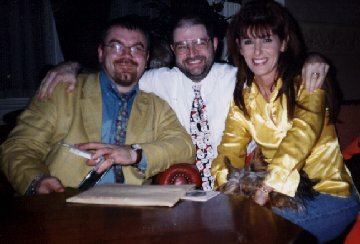 OGAE (UK) 1998 Eurosong Convention. 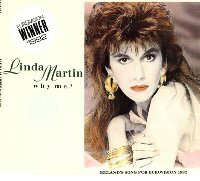 Yes star of Two Eurovision Song Contests (1984 & 1992) and appeared on an Irish stamp, Linda Martin will be performing on the Saturday night at this years convention. "Last December I was taken on a surprise trip to Dublin for my birthday. I knew the trip was going to have some Eurovision connection but until we landed at Dublin I wasn�t sure just what was in store for me. Although I enjoy many things about the contest it is the song and the performer that are my foremost interest. 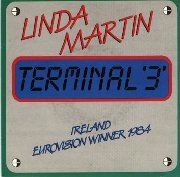 My all-time favourite entry is "Terminal 3" by Linda Martin because to me it�s the perfect combination of a meaningful song sung with feeling. So it won�t come as a surprise to learn that my Dublin trip turned out to be the chance to see Linda Martin performing live. Once the secret was out I was an excited bundle of nerves, meeting people you admire doesn�t always turn out the way you�d imagined, so it was with a heady mix of adrenalin and anxiety that I arrived at the Regency Hotel with my partner and some more Eurovision friends. Although I�ve never been a fan of Dinner Dances the Regency Hotel provided us with an excellent three course Christmas dinner, that was not only hot but expertly served. Apparently Linda was aware that a group of Eurovision fans were amongst the audience and she kindly allowed me to use my camcorder during her performance. I was even given a prime position to film Linda�s act but in the excitement I forgot to actually record anything until halfway through her opening number, and what a way to start a show! 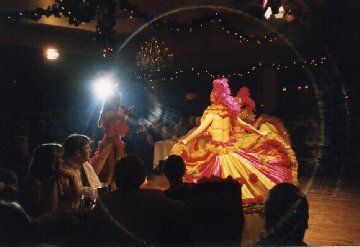 Linda�s dancers, Kim and Fifi, came through the double doors first dressed as showgirls but it was Linda�s breathtaking Carmen Miranda style outfit that left me breathless and stopped me remembering to press the �record� button. These stunning outfits heralded "Copacabana" (I later discovered that the costumes had been designed for the London stage show) and from the first syllable I was captivated. What makes her shows so special is the fact that Linda Martin makes everybody feel as if she�s known them for years. Throughout the night Linda referred to various individuals by their first name, even if she was reading from guests requests and letters, and radiated a warmth that made us all feel like old friends. After the dazzling opening Linda slipped into something a little more slinky and continued with three Drifters classics before getting the audience on their feet with rousing renditions of "I�m So Excited" and "Walking On Sunshine". It was then time to slow things down but before she did Linda introduced her �friends from the Eurovision fan club� and the launched into a performance of "Why Me" that had the hairs on the back of neck standing up and applauding! After this she disappeared and returned in a different dress for a storming version of "The Best". This was followed by a clutch of oldies including a Rock�n�Roll medley, which proved just how versatile her voice is, and had the crowd up on their feet again. Linda finished this section with another nerve tingling performance. This time it was the Patsy Cline classic "Crazy" that made you wonder why Linda Martin hasn�t been more acclaimed Internationally. Whether it�s ballads or uptempo songs that Linda�s singing the audience don�t get a chance to leave the dance floor, even when she leaves the stage for another change of dress her drummer, Nigel, keeps the party going with his performance of Garth Brooks and R.Kelly songs. By now Linda had been on the stage for over an hour, but the party was just about to reach a new peak, for when she returned Linda launched into a medley of Abba hits which had the audience in such a frenzy that it felt like we�d all self combust at any minute! A live show by Linda will leave you speechless and exhausted because she supplies you with an energy that just defies your body to stop and rest. The Abba medley was swiftly followed by "I Will Survive", "The Macarena", "Let�s Twist Again", "Do The Hucklebuck" and "YMCA". Yes a live show by Linda Martin takes no prisoners! When you see Linda performing you�ll notice that she appears to be enjoying herself as much as audience. 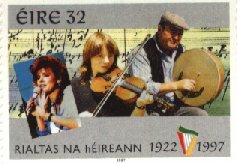 This could be the enthusiastic crowd, or the intoxicating performance she provides, but I think it�s the fact that Linda Martin is the perfect example of that Irish proverb that �there are no strangers only friends we haven�t met�. After nearly two hours she closed the evening with a moving medley of Christmas favourites it was a magical ending to an unforgettable night. Although it was gone 2am in the morning, and we had to be up at 8am to catch our plane, we were told by Linda�s management to stop back and Linda would come and meet us. Well I was in seventh heaven as this truly wonderful lady sat and chatted the morning away with us. Despite having just performed for over two hours Linda seemed unaffected and was relaxed and chatty. We talked about the fact that she didn�t usually perform "Terminal 3" live because it needed an orchestra to do the song and Bill Whelan�s arrangement justice and about her animal sanctuary she has recently set up. We chatted about Katie Boyle, Linda McCartney, the Carter Twins and Dustin the Turkey but eventually we had to leave. My only disappointment was the discovery that there is no �Terminal 3� at Dublin Airport so bang went my photo opportunity. My thanks to Clive, Ronan, Ivor, Jan, Tommy, Martin and Billy for being part of such an unforgettable weekend and to the Regency Hotel for their hospitality. Finally my thanks to Linda Martin for being a true star and making me feel so special." Well ... want to be a part of this years convention? Copies of the Booking Forms can be downloaded here (in Rich Text Format). Remember you can come for ONE day or stay the whole weekend! We have a few rooms available - hurry as they are going fast!